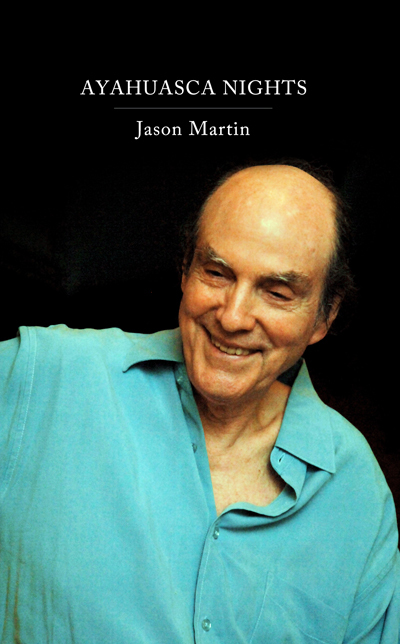 Jason Martin, author of the acclaimed novel, Voluptua, once again takes us deep into the mysteries of Ayahuasca, this time through a deeply personal memoir of the transformative power of shamanism. Beginning at Machu Picchu and ranging from Massachusetts to Dharamsala to the green jungles of Peru and back again, these stories of birth, illness, grief and recovery are woven amidst a tapestry of rich sights, surprising sounds and, of course, powerful ceremonies. Culled from his own experiences, as well as testimonials from those whom he has aided through his shamanic practice, Jason reveals insights into the potent healing available to those that choose to embark upon a conversation with the indigenous medicine often known as The Grandmother. With good humor and a fireside charm that belies the importance of these stories, Ayahuasca Nights is an important addition to the body of world shamanic knowledge and a window into the heart of one of its most devoted practitioners. Jason Martin has a Ph.D in French and Comparative Literature. While in Paris, he studied at the Sorbonne and was a Seine riverboat pilot. He has traveled extensively in India, speaks French, Modern Greek and a little bit of Spanish. A former university professor, he has taught yoga and meditation for many years. He has spent considerable time in the Peruvian Amazon working with master shaman Don Agustin Rivas-Vasquez, who initiated him into the world of Amazonian shamanism.